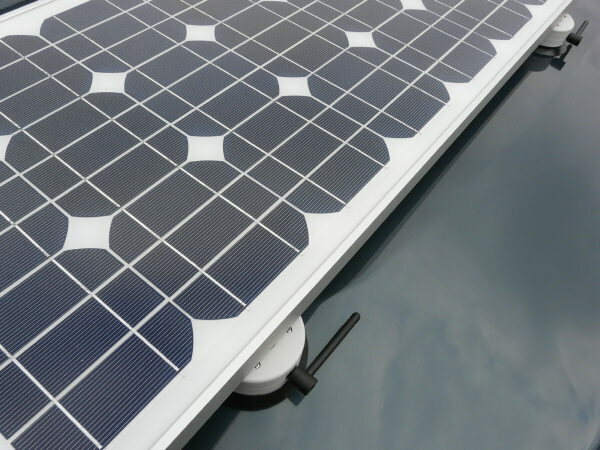 Our new suction units make a temporary quick fix solution for mounting solar modules on to roofs of motorhomes, caravans, boats etc. By manually turning a key a vacuum is created between the base of the product and any non-porous, smooth surface, to which the product is being applied. Once applied, the keys can be removed from each unit, rendering the product tamper-proof. Our suction units can be positioned anywhere where there are non-porous surfaces. Please Note: The surface suction units are for static use only we would strongly advise against using this product while on the move.